Inverloch’s fire brigade goes back to the ‘Country Fire Brigades Board’ (CFBB), the forerunner of the ‘Country Fire Authority’ (CFA). 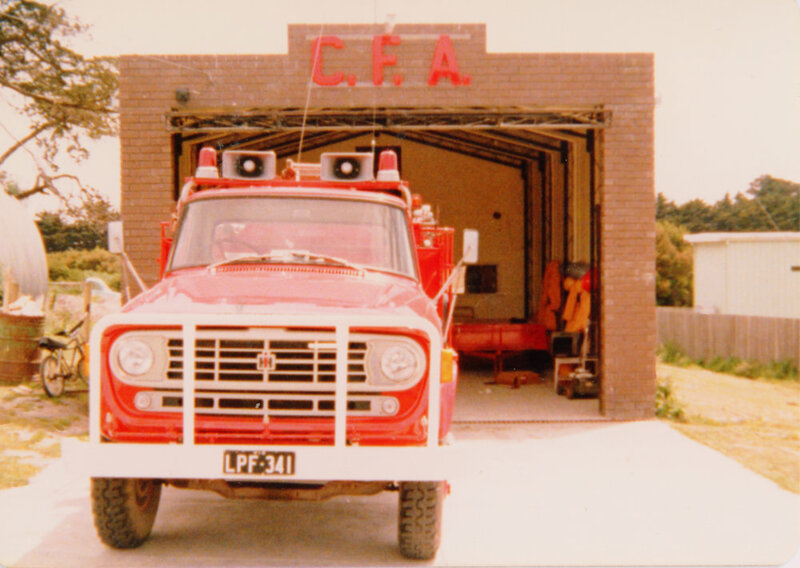 The CFA took over Inverloch’s fire brigade in 1944 and it became the ‘Inverloch Rural Fire Brigade’ (IRFB). The first elections were held on 6 January 1945, with R.A.W. Kirk being elected Captain, and R. Stockdale, P. McGarvey, L.G. Wills and T. Winnall as Lieutenants. Wills was also the IRFB’s first secretary. At this time the brigade had neither station nor truck and water was hauled around on a private vehicle owned by Clive Newton. On 2 June 1954, the Rocket Shed, which had lain empty since 1928, became a temporary base for an Austin tanker that the brigade had bought in the late 1940s for £800. On 15 September 1954, an emergency water supply was donated to the brigade by the Foreshore Committee and installed at the Rocket Shed. Steps were taken to have a building constructed at 30 A’Beckett Street. The building was to have a brick facade and a steel frame and iron roof. The floor was to be redstone. Volunteers erected the shed, which was completed on 12 February 1958. The brigade called for tenders to cement the floor. Con Azzopardi won the contract for £80 and completed the job on 15 April 1959. In those days, IRFB meetings were advertised on the movie screen at the Mechanics Institute the preceding Saturday night. Up until 1980, the IRFB had seen 275 members, but many had become inactive over time. The two with the most service to that date were Harold Drowley and Alf Cuttriss. Alf joined the brigade in 1951. It was not until 1972 that any major change happened to the IRFB. The faithful old Austin was replaced with a modern, brand new International D-1610 tanker, which used the call-sign ‘JR22’ (later ‘Inverloch Tanker’ when the radio call-signs changed). It carried 600 imperial gallons of water and could pump it out at a rate of 200 gallons per minute. It was one of the first International tankers in the Leongatha-Korumburra group of fire brigades, and the envy of sister brigades such as Pound Creek, Tarwin Lower and Kongwak, who would have to wait quite some time for their Austins to be replaced. 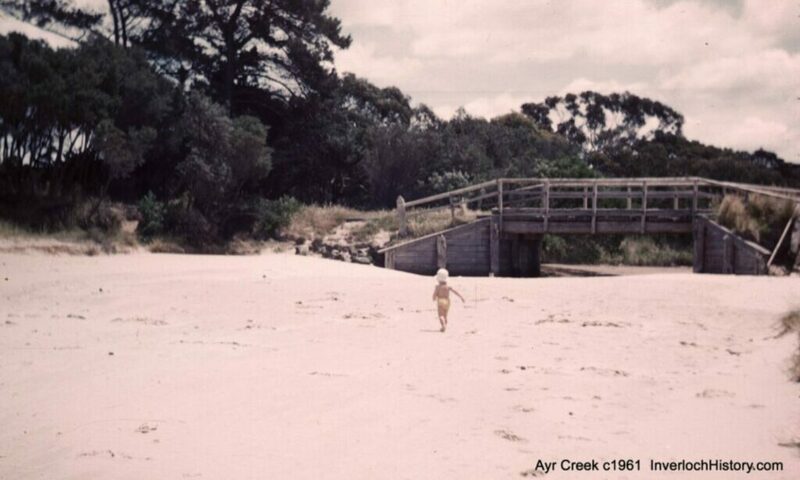 In the early 1970s, the IRFB was one of a few brigades in Victoria that experimented with a junior fire brigade. To join the IRFB, boys (at this stage no girls) had to be at least 11 years old. It proved very popular under junior supervisor Allen Miles, and attracted local many local lads. The juniors couldn’t fight fires, and they couldn’t be taken to a fire on the tanker, so they trained every Sunday and went to fires in a private car and were used to mop up grass and scrub fires. Juniors also competed with other local brigades in Winter Competitions, which were timed runs to set out a simulated fire attack. Many of the boys would later take up officer positions within the IRFB seniors. Allen Miles became Captain in the mid-1970s and concentrated a lot of effort into getting a new fire station built. The station was built next door to the old brick and iron one, and would cost $11,000 to build. It was large enough for two units side-by-side (just) and had a radio room, meeting area, office and kitchen behind. There was also a toilet block to one side. Again, it was built by volunteer labour under the supervision of local builder Calvin Galloway. It was completed in March 1978, and was of timber and steel frame with fibro-board cladding. Captain Allen Miles was also determined to give his fire brigade greater capability, and he did this very much against the wishes of the CFA. His father-in-law was high-up in the MFB, and the IRFB was able to obtain second-hand turn-out coats, belts and axes to go with the helmets, boots and yellow overalls. But the biggest coup was paying $3,500 in 1980 for an ex-MFB International AB-160 metropolitan pumper, which took the call-sign ‘JR20’ (later ‘Inverloch Pumper’). The pumper was vital for carrying all of the IRFB’s auxiliary equipment to a turn-out, including lighting plants, breathing apparatus, quick-fill pumps, 200 extra feet of canvas hose and a foam induction unit. 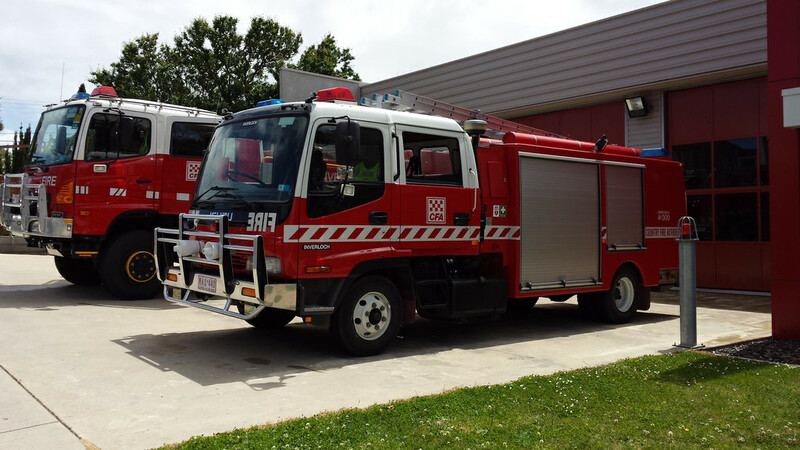 Inverloch’s pumper was later found to be the only example left in Australia with a working pump, leading the MFB to later buy it back for their museum (reportedly for more than the IRFB paid for it). From notes made by Steve Hitchen in 1980. Sources were local identities, the Country Fire Authority and the archives of the IRFB.